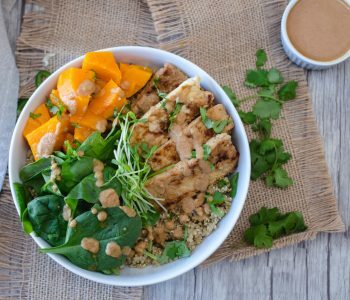 Bean salads are so easy to make — it’s usually all about tossing together a bunch of tasty ingredients — and so useful. 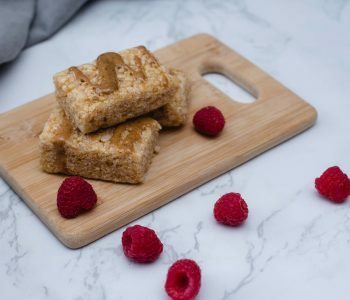 They’re great to share at potlucks, take on picnics, pack into lunches, or just to serve on the side of the dinner plate for added protein. 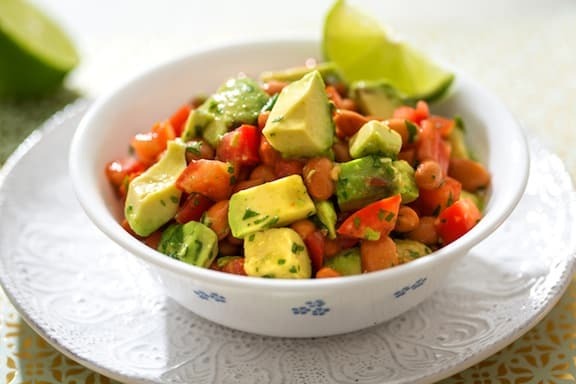 Here are a few of VegKitchen’s favorites, starting with Avocado and Pinto Bean Salad, an easy combo with a Southwestern flair. This goes well with vegan quesadillas and other tortilla specialties that don’t themselves contain beans. 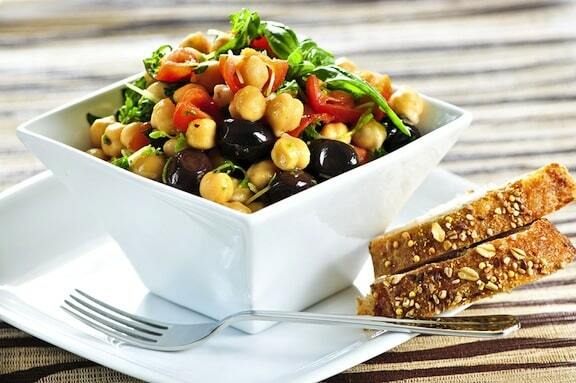 Chickpea Salad with Tomatoes and Basil makes a good lunch on its own with some whole grain bread and fresh fruit. 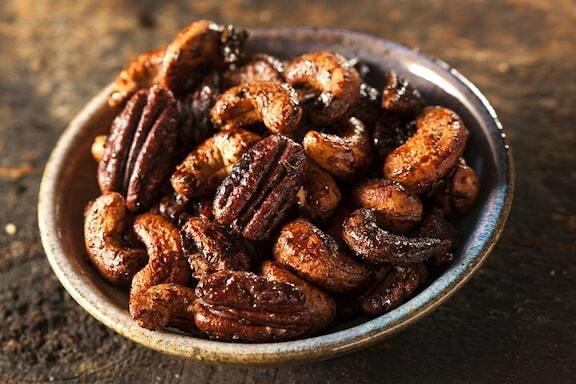 It’s a great companion to Italian-style pasta dishes or simple grain dishes. 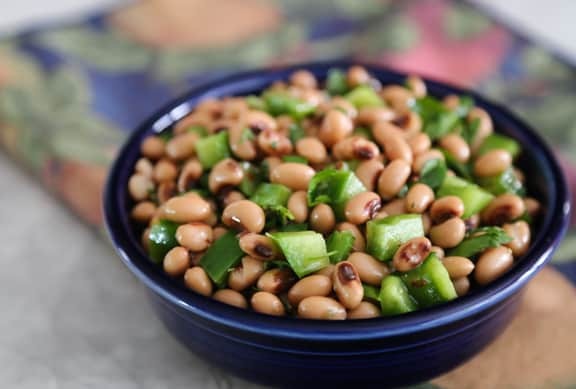 Marinated Black-Eyed Peas is appetizing recipe that hails from traditional Texas home cooking, hence its colloquial name “Texas Caviar.” Serve in small quantities to add protein to the plate, almost like a relish. 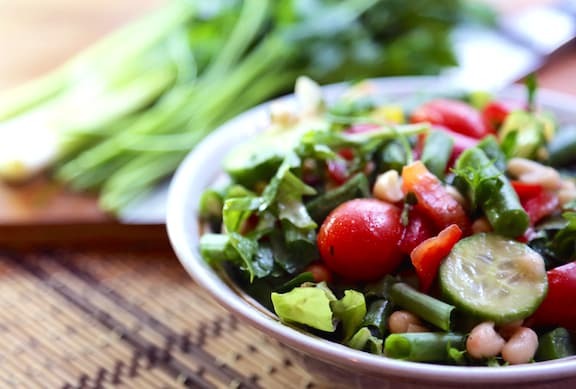 Classic three-bean salad gets an update in this Contemporary Three-Bean Salad, with balsamic vinegar, cilantro, and sunflower seeds. 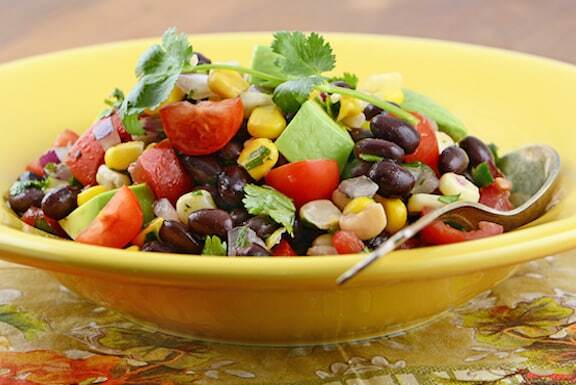 In this Southwestern-inspired Black Bean and Corn Salad, the ingredients look very enticing, and taste even better. 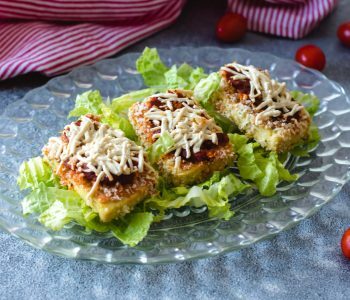 Embellished with tomato, avocado, and lime juice, this makes a great potluck dish for a crowd if you double the recipe. 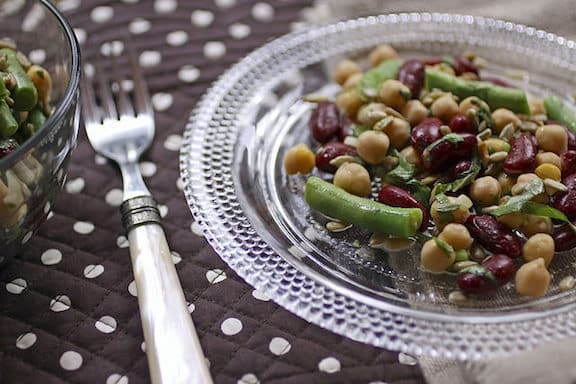 Featuring the companionable flavors of fresh green beans, navy beans, and cucumber, Navy Bean and Green Bean Salad with Fresh Herbs is lively and refreshing, perfect for picnics, potlucks, and casual company buffets. 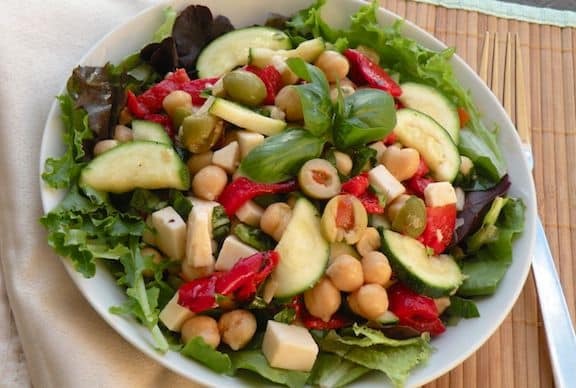 Another good use of tasty chickpeas, Chickpea Salad with Zucchini, Vegan Mozzarella, and Basil is great on its own as a first course, or as a companion on the plate with a lighter pasta dish.